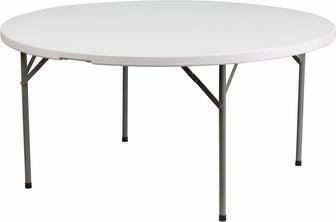 4 foot round (48 inch) folding tables will seat 5-6 guests each. Table diameter is 48 inches. Table height is 29 inches.